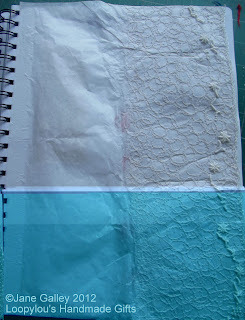 This is a continuation of the page trying different techniques with the tissue paper. You last saw this page when I was waiting for it to dry. The right panel is layers of tissue, then stitched. The edge has blanket stitch lace, and then the page has been embellished with french knots, bullion and web stitches. It's then been attached to the book as a cover sheet. 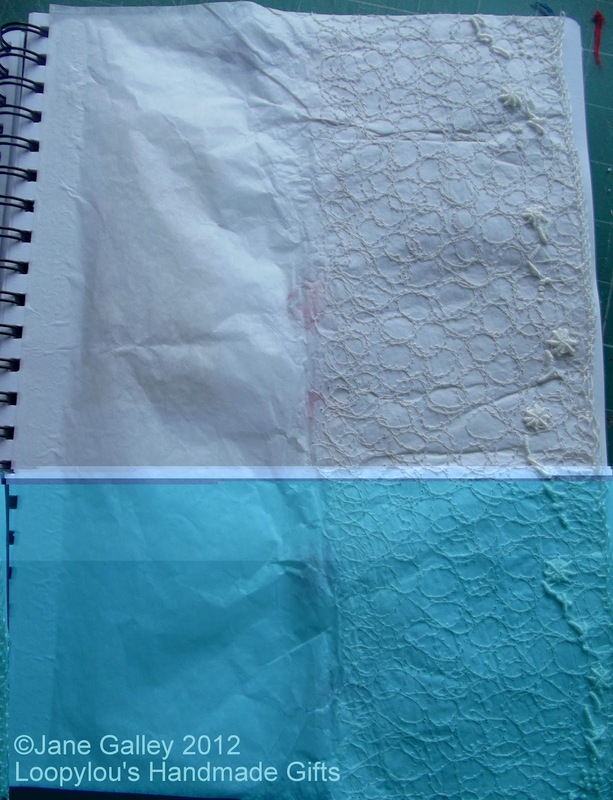 My next task, is to make cover pages for all the completed pages, using the different methods we've tried. Well. What can I say. Just perfect. I have emailed Karen to see if she will be running this course again as it looks so much fun..plus I have just decided to apply for a part time art degree...like to you lol. I think it would help me develop a portfolio...and even if it doesnt, you certainly cannot get bored with these pages can you? Yours are amazing! You do such neat things. This is such a fascinating process. Mixed media projects are a lot of fun. Yours is looking fabulous. This is so interesting and I enjoy watching your progress. How do you get the cover page to stay in the binder? 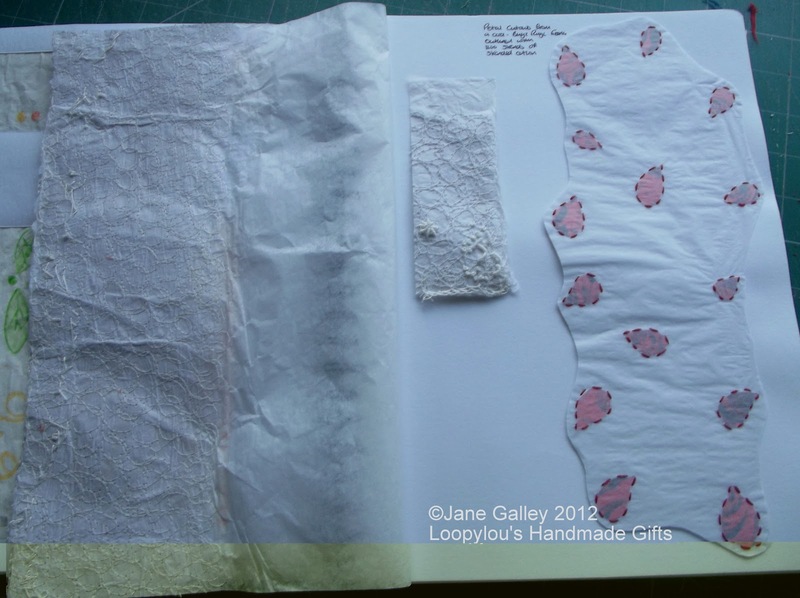 Who knew that you could sew on tissue paper with a machine and it not tear!